WILSON is developed exclusively for ISSCORP(USA) by Dr. Fawky Abdallah, a recognized authority with 50 years of experience in leaf blending and processing know-how and cigarette manufacturing technology, especially those of the American type. 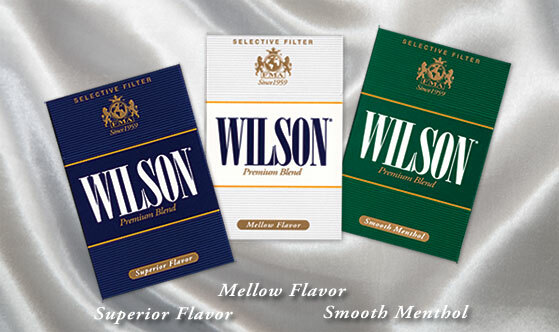 WILSON is a balanced blend of carefully selected tobaccos from 25 of the leading tobacco growing countries, including tobacco from WILSON County, North Carolina, USA. 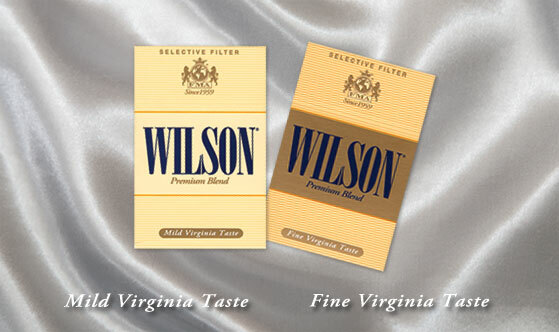 WILSON is a premium American blend cigarette (ABC) manufactured utilizing specially developed casings and flavorings, advanced leaf processing know-how and the most up-to-date cigarette manufacturing technology. smoke to be relatively more pleasant than that of other premiums. yearly basis, to the Office of Smoking & Health at CDC. registered by ISSCORP(USA) as a member of the US Uniform Code Council. and above the mainstream brands. results of independent taste testing conducted in the USA and Europe. retailers as well as innovative incentives and sales promotional items. with a unique marketing theme: “In A Class Of Its Own”. • Smoking is a serious health hazard. • There is no safe cigarette. • The only safe way is not to smoke. • Smoking is addictive and if a person chooses to smoke, he or she should do so responsibly.